A new occasional shop opens today in Eden Prairie. Madison House Interiors, a new occassional shop with interior design services, opens today (February 13) in Eden Prairie. Interior Designer Sara Trosen (you might remember her as one of the guest designers from HGTV's Decorating Cents) and Kristin Nicholas, who makes gorgeous custom draperies, are opening the shop, which has an upscale, eclectic feel. Expect to find unique home decor pieces with a family-friendly vibe, as well as local art. The shop is located at 16356 Wagner Way in Eden Prairie—it's in the same strip mall at Tavern 4&5, which pretty much makes it a perfect place to go out with the girls. It'll will be open through Sunday, and during the second weekend of every month. 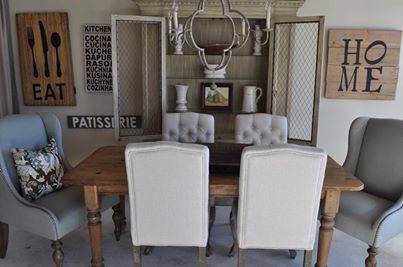 Follow Madison House Interiors on Facebook for sneak peak's at the shop's inventory.